Highly unusual Q&A screening and tasting is designed to promote Da Sweet Blood of Jesus. Last month’s event at City Winery’s NYC location on Varick Street was SRO. So too is this weekend’s repeat in northern California, where a second group of patrons will get the chance to pair half a dozen wines with half a dozen Spike Lee movies. “In He Got Game, there’s an emotional scene about generational change and the father-son dynamic,” Dorf said, “so we went for generational change in a winemaking family” and selected Catena’s Malbec. The movies and wines selected for the Sunday March 29 event may be a little different than those sipped in Manhattan. Dorf has been a long-time fan of Lee, dating all the way back to when he launched The Knitting Factory in the mid-1980s. Lee will discuss each movie highlighted, and bring along for further enjoyment his personal DJ. 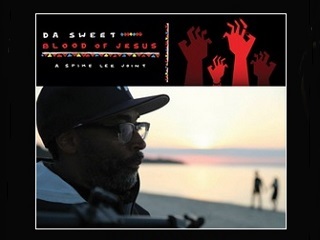 The events are designed to help promote the filmmaker’s latest offering, Da Sweet Blood of Jesus.